Previously, the albino rat-man had just filled up the corridor with a noxious fume, leaving the adventurers coughing and retching, and giving it enough opportunity to escape. When the fumes cleared and the adventurers regained the control over their diaphragms, they found a trail of dark, arterial blood. It was gravely injured and unlikely to have gone far. They found the wretched creature in the middle of a large, pillared hall at the end of the corridor, softly lit by a row of ensconced torches. It was up against a central, stone bench, struggling to sit up. They approached carefully, remembering the ambush in the last pillared hall. Emma kicked the scythe it had carried away from it and tried to talk to it while Astrid and Marcus made sure to secure the rest of the room. The albino was coughing up blood and gibberish that nobody understood. Nobody but Luca, who seemed able to understand and communicate with the dying rat man. Luca learned that the rat men called themselves “skaven” but was unwilling to share much more until Luca used an arcane command to compel the “skaven” to speak. Much to the skaven’s own surprise the words tumbled from its bloody maw. The skaven were there to find the “imprisoned sorcerers”, who had their spirits embedded in the “One-hundred-forty-four Arms of the Senhadrim.” Luca kept pressing the skaven but the arcane compulsion had faded. 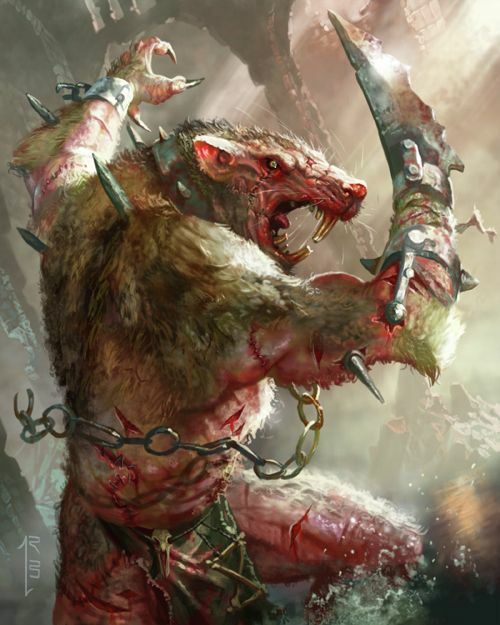 The skaven remarked that the source of Luca’s abilities were similar to its own, but that it knew that it’s patron, the “horned rat”, was stronger than Luca’s. Luca unleashed a deadly bolt of dark, eldritch energy and killed the skaven. His action came much to the surprise of the other adventurers, perhaps even to the surprise of Luca himself. Both Emma and Marcus voiced their concern, but before the conversation could start in earnest, a large, heavy object came rolling into the doorway from whence they came and exploded with a deafening boom, collapsing the corridor. Heavy footfalls can be heard coming from a corridor up ahead. Accompanied with the footfalls is a strange scraping sound and occasionally you hear a low, rumbling screech. The archway remains dark for a moment as the source of the sounds seems to be coming closer. The first thing to hit the light is a pink, whiskered snout, which appears just below the top of the doorway. It sniffs the air and a giant rat-man appears to fill the archway. It tries to push its way in, but the archway is too small to fit its massive frame. It easily stands at the height of a full grown ogre. Angry screeching and a sharp crack of a whip can be heard from behind the behemoth. Frustrated, it lets out a terrifying screech and angrily pushes forward, into the archway’s frame. A claw reaches into the door and it pops its head and one of its shoulders through the opening, still stuck with the rest of its body. It strains its legs and with a screeching roar it dislodges several stones from the archway, bursting into the room while behind it more masonry falls to the ground. It’s body is a mess of scars, pink flesh and sickly tufts of mottled brown hair. Some of the scars seem fresh, with large iron staples holding the flesh together. Its right paw has been replaced by — or fitted with, it is completely unclear — a large jagged spike that extends far past its legs. It must have been fitted with it a long time ago, since the right shoulder seems to have grown considerably in bulk to compensate for the weight. 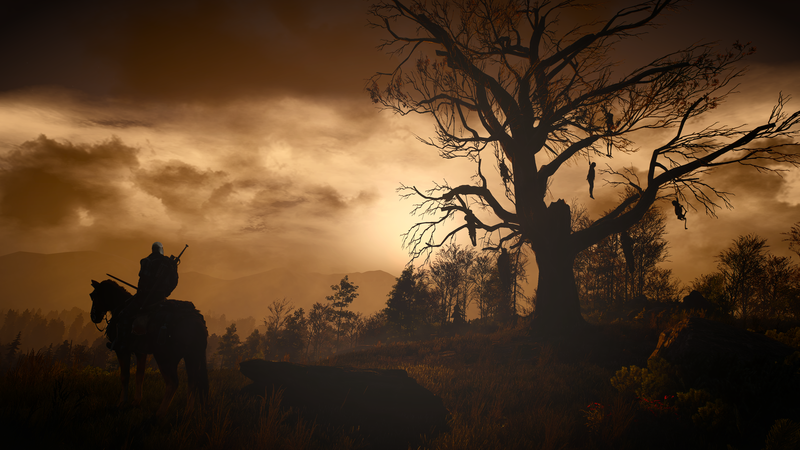 On its back, seated in a strange, leather harness, sits another rat-man, carrying a wicked, barbed whip in one hand and a hand crossbow in the other. The leather straps that hold the harness in place are fitted around both shoulders, but the bulbous, muscled flesh of the right shoulder has painfully swallowed the straps as it has been forced to grow around it. Once cleared from the rubble falling on top of it from the crumbling archway, it immediately lopes towards you, spurred on by the its taskmaster, raising that dreadful spike, ready to attack. While the giant rat ogre and its taskmaster ran into the room the adventurers took up cover behind the large stone bench that the albino had died up against. Lord Marcus took up positions between the bench and a pillar on one side while Astrid did the same on the other side, effectively closing off immediate access to the rest of the adventurers. The rat ogre ran towards Astrid and immediately engaged her in vicious battle, stabbing and striking at her with that vicious spike attached to its arm. Lord Marcus circled around and started to attack from the flank, while Emma unleashed a bolt of radiant, aquamarine light at the taskmaster who was hit square in the chest, despite being partially hidden behind the rat ogre’s large frame. The others respondent swiftly and made managed to take the task master down quickly while Astrid kept the rat ogre’s focus on her while they did so. Midway through the fight several skaven scurried into the room, attacking Lord Marcus in the rear and also reaching Luca and Emrys. Emrys managed to make excellent use of the discarded scythe belonging to the dead albino to fling it across the room and into the skaven, while Luca sent bolt after bolt of eldritch energy into them. The rat ogre continued to fight on ferociously, seemingly swelling up in size, with noxious fumes escaping its mouth and nostrils, and even through some of the fresh wounds that had been stapled together on its torso. Shortly after it let out a billowing stream of noxious vapour which washed over Astrid and Emma. Eventually, Astrid was gravely wounded and she briefly lost consciousness before Emma stepped in to quickly call upon the merciful powers of Sedna to pull her from the brink of death. Shortly after the big brute was brought down, and promptly collapsed on top of Lord Marcus. In its death throws, its torso swelled up with internal pressure, sending several of the metal staples shoot out across the room. Its torso ruptured and released a dangerous cloud of noxious fumes, injuring some of the adventurers who couldn’t get enough distance in time. When the calm had returned to the chamber the adventurers decided to take a short rest, recovering from some of their injuries and preparing to continue on their search. The corridor from whence they came had collapsed and so the only way was forward. Emrys used his arcane talents to spread water in the entrance to the open corridor and freeze it solid into a slippery sheet of ice. Anyone coming into the chamber while they rested would not go unnoticed. After resting, Emma briefly took a moment to inspect the stone bench and the circular well that was set inside of it, while Luca once again inspected the pillars in the room. They were once again decorated with sculptures this time not depicting matters of war, but rather that of community. Emrys once again made himself very useful, putting his arcane talents to use by repairing the damage to Lord Marcus’ chain mail armour. Eventually Luca became impatient to continue down the open corridor and everyone made preparations to leave the lit, pillared chamber and plunge themselves into the dark corridor beyond. It didn’t go unnoticed by the adventurers that the corridor they entered had a clear, downward slope and eventually they came upon a cross junction. From the right corridor, everyone could clearly hear a curious sound, one that Emma had heard before, like the sound of an everlasting wave. They decided to head in that direction to investigate. The hallway opens up to a large room with a high ceiling. In the middle of the room, surrounded by a halo of electric blue light, shining so bright as to almost approach white, hovers a disc of pure darkness, standing twice is tall as a normal man. Wisps of light emanated by the halo seem to be sucked into the depth of this black maelstrom. The roiling sound that escapes from the deepest recesses of this pit of darkness resembles that of a wave rolling out from the shore. But whereas a wave comes in, crashes and rolls out again, this wave is ever receding, constant and one directional. It fills you with a sense of loss and grief. You see an albino skaven approach the maelstrom and take one last look back, letting out a vicious screech which almost gets drowned out by the sound of despair coming from deep within the center of the nothingness. It steps across the threshold of the rift, and it immediately gets sucked into its depths until it is completely gone. Two cloaked skaven, fussing over something among the crystalline structures, drop what they were carrying and also dive into the rift. The sheer energy of the portal has caused several of the vaulted archways in the room to buckle and collapse, causing bits of rubble to occasionally fall down around the portal. Some of the stones sometimes enter the portal, and are immediately sucked deep into the black pit. Strange, multi-coloured, molten slag has gathered in an arc around the base of the portal. Crystalline structures have formed into it, jutting from the slag like vicious teeth from an angry maw. Among the crystalline structures, you notice the bound and gagged form of a dwarven man wearing a brown leather jerkin, grey breeches and steel tipped, leather boots. His beard is reddish-brown, streaked with grey. His head is shaved down, with a short, brown mohawk. Behind him are several others, all of them bound by leather straps. It’s hard to make out who they are or what state they are in. The adventurers noticed that two, partially collapsed staircases lead down into the room and that there was another corridor leading onto the balcony from a different direction. Emma was the first to attempt to make her way down the rubble to prisoners below, with the others quick to follow. It was quickly discovered that, among the different crates, chests and barrels of supplies, there was a dwarf, a human, and four orcs, all bound and gagged. Last but not least, they found James, also bound and gagged, but also unconscious. The first to be unbound was the dwarf, who introduced himself as Brandomiir. Emma asked the orcs if they would cause trouble if she would release them from their bounds, and Brandomiir explained that only Korath could speak and understand common. The others were Kadan, Korath’s brother, Summi and Garr. Bartosz was the human and turned out to be the last missing Sheridan guard. He was very happy to be reunited with Lord Marcus. Korath was ungagged and explained that they were taken as slaves by the skaven and that they were originally from Kaedwyn. They came to be in the catacombs by arriving through the portal. He said the portals lead to demons and that he had been taken from Kaedwyn by another portal. They were large and strong and possibly not exactly what the adventurers had hitherto associated with orcs. Brandomiir also explained that James had been brought in unconscious a few hours previous and that it was clear that he had tried to steal from the skaven. In the meantime, Luca was concerning himself more with the strange portal in the middle of the room, the slag that had formed around it and the crystals that were growing among the slag. He found and collected some strange ore from among the slag and was throwing pebbles into the portal to see how it responded. Emrys was uncomfortable with Luca’s experiment and Luca’s response was… unfriendly. The five Lyrian knights whom James and Emrys had seen previously appeared through the other corridor onto the balcony. They climbed down and properly introduced themselves. Their leader was Ser Arman de Courtenay, Master Commander in the Order of the Gryphon, dressed in lapis lazuli gilded armour, carrying a sword which Luca later identified as magical. The two silver-gilded knights, both carrying halberds were Dame Madeline of Ashenvale and Ser Guillaume of Sanségal. The former a tall, blond haired-beauty, the latter a brown haired, mustachioed fellow with a thick, Beauclairois accent. The two remaining fire-gilded knights, both carrying swords and shields, were Ser David Longstrider of House Longstrider, whom Emrys remembered to be a noble house from Farcorner, and Dame Julie of Lewisham, a woman with a strong, stoic features and a strong Kingsport accent. It was decided to continue travelling together. The orcs were also invited to come along, though it was unclear what would happen with them once they reached the surface. Lord Marcus suggested that there might be an opportunity to have them sail to Kaedwyn on one of the Sheridan merchant vessels, but that his brother would likely refuse. The portal would have to be closed somehow. Nobody really knew how to achieve that, so quickly the ideas turned towards collapsing the room in onto the portal. Brandomiir said that he could probably collapse the room if he had access to his blasting powder, which was back at the Sheridan aqueduct. Emma suggested using some of the divine and arcane talents in the group to freeze some water in the cracks in the ceiling, further destabilising it. An inspection of the chests and crates was done, revealing curious golden coins and a set of identical rubies. 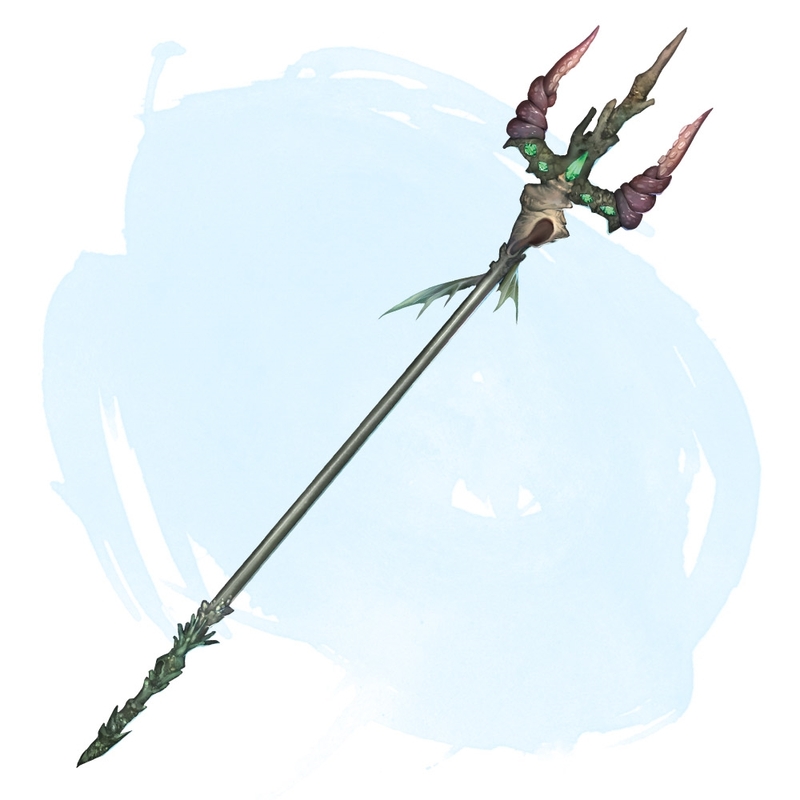 Five weapons were recovered, an elegant elven sword, a pair of simple shortswords, a trident beautiful decorated with engravings of waves, shells and sea creatures, and a wooden staff, decorated with pieces of cut obsidian, and a curious gemstone set in the tip, shining like a piece of the night’s sky filled with stars. Luca noticed all these items were magical, but they were in a state of constant flux.